Me and My Sister Designs are actually sisters! 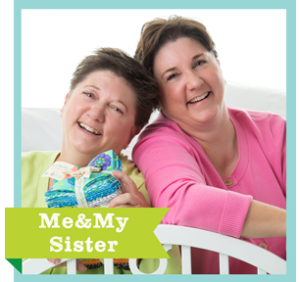 Through the years, and at times many miles between them, the sisters' love of fabrics, sewing, and quilting remained a bond that they shared. One of the sisters loves brights and 1930's reproductions, while the other adores rich florals and blended quilts. They find common ground in soft florals and pastels.